This necklace is Chanel's newer release, making the classic 2 sapphire CC pearl necklace into a 3 CC extra long version. 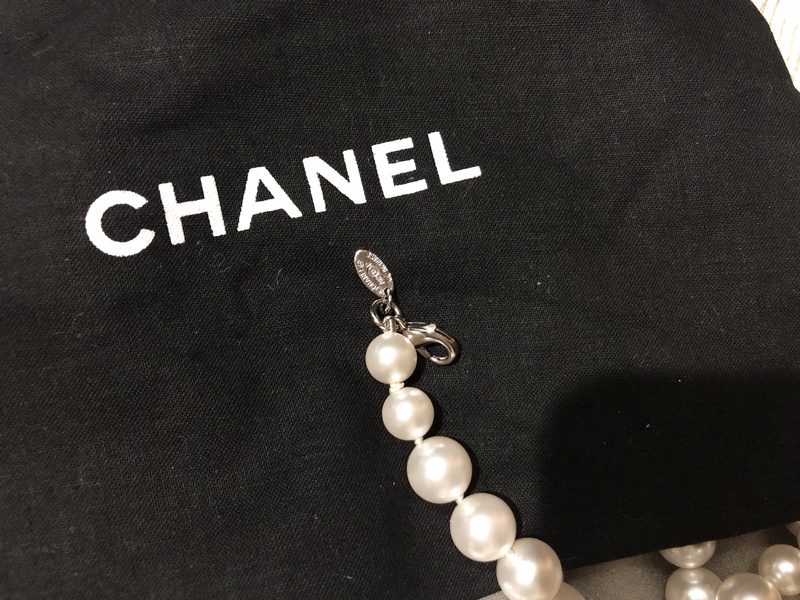 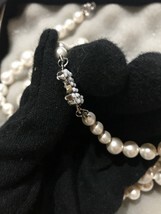 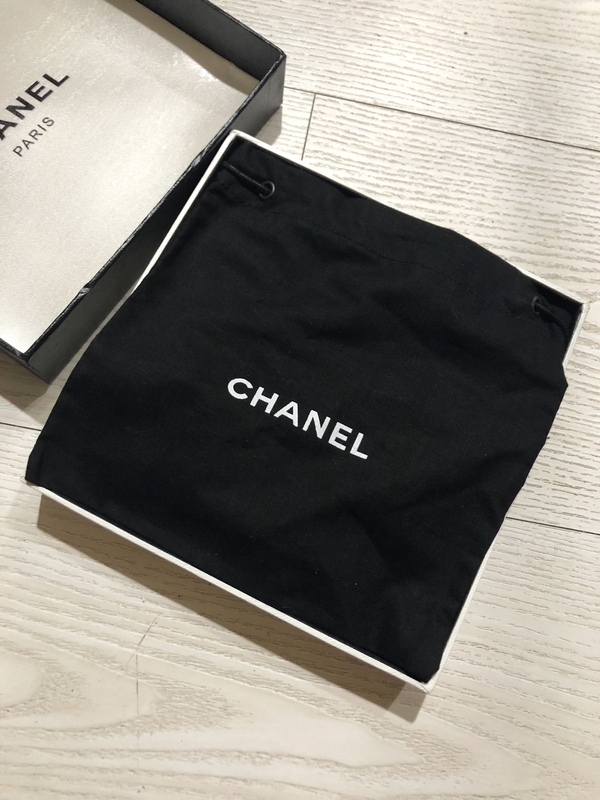 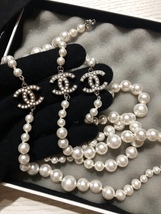 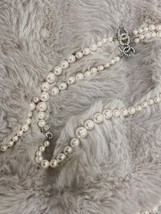 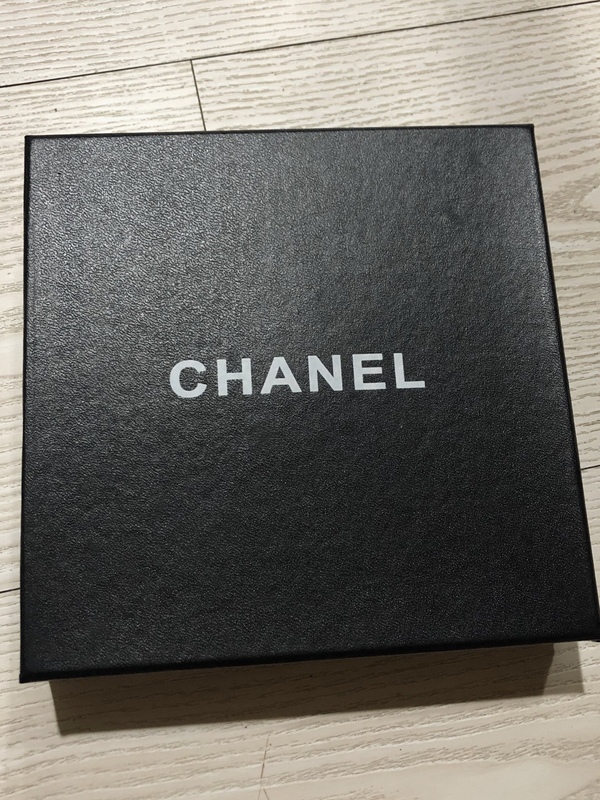 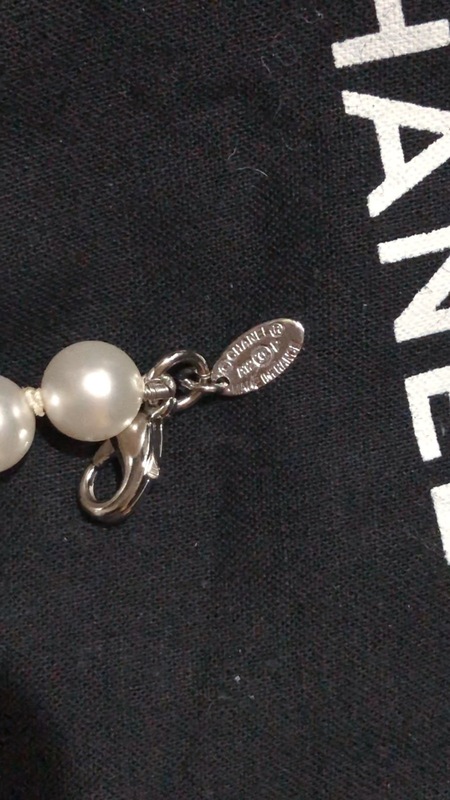 The tiny tiny Authentic oval CHANEL stamp is fixed on the necklace chain hook as shown in pictures. 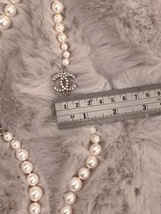 PLEASE NOTE THERE IS A SMALL SCRATCH MARK ON THE OVAL STAMP BUT IT DOES NOT EFFECT THE OVERALL LOOK OF THE NECKLACE. 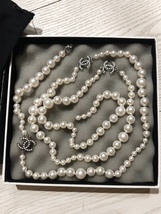 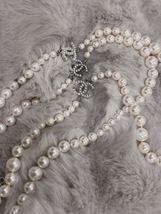 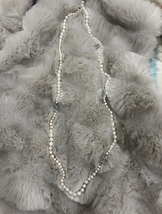 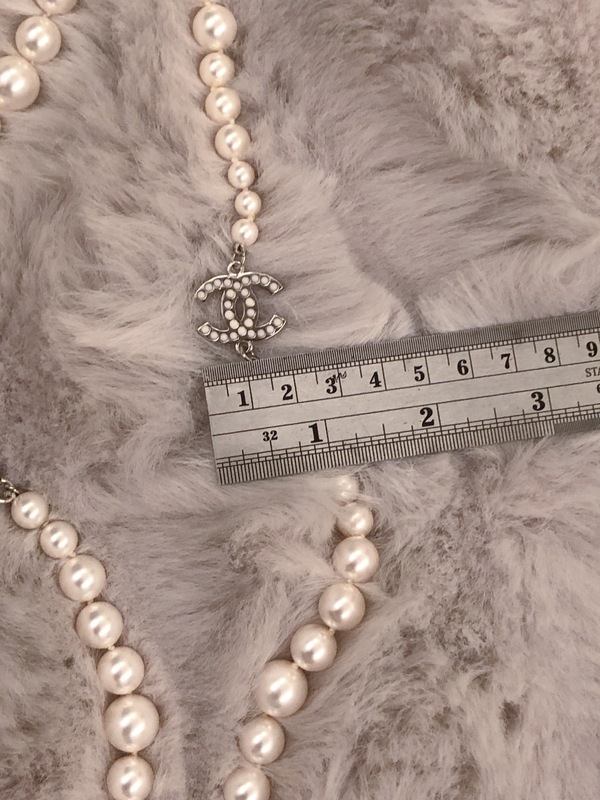 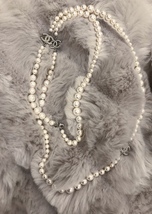 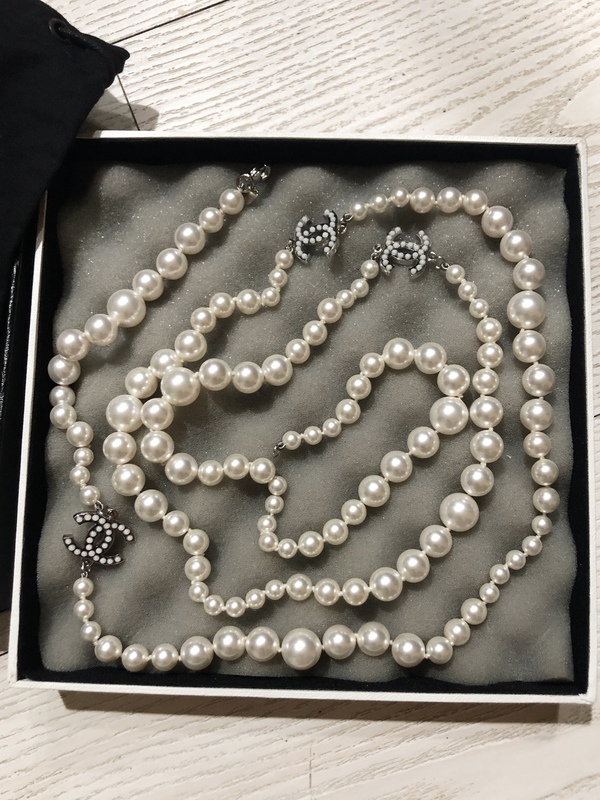 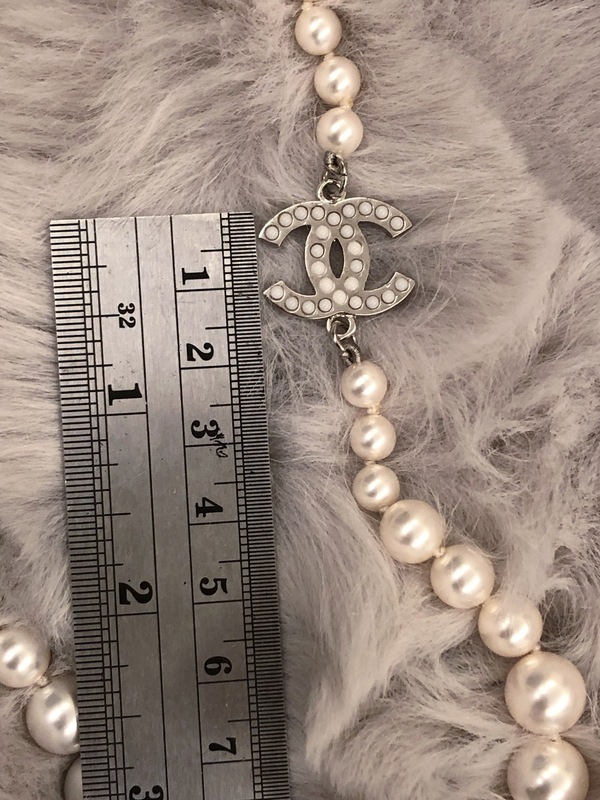 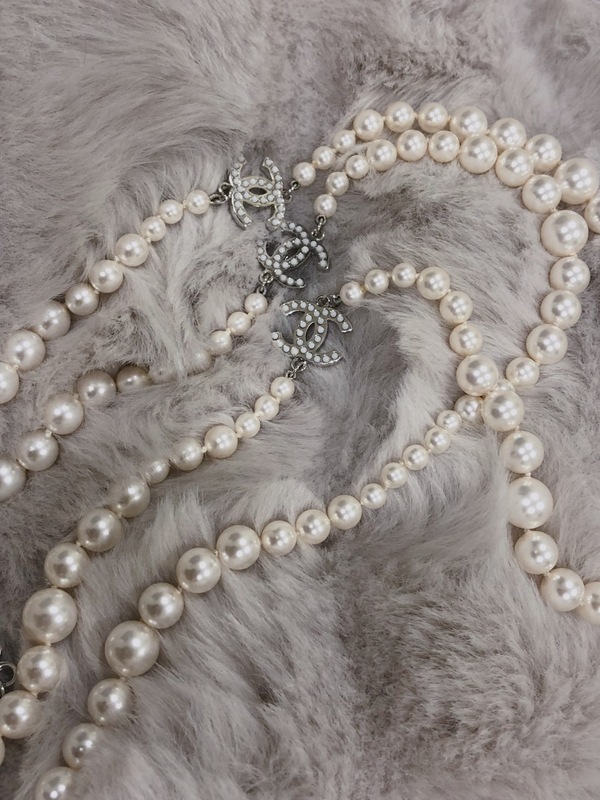 Please note photos of the same AUTHENTIC CHANEL necklace were taken in different angles and lighting.